Singapore is a country known for its excellent working conditions. From employment laws to competitive salaries, the city-state has gained a reputation for being a suitable environment for both local and migrant employees. Though the living expenses in the Republic is also considered one of the highest, this is offset by the fairly low income tax for both business owners and individuals, as well as work-life balance imposed by its employment laws. All working laws of Singapore are regulated by the Employment Act. Considered as the city-state’s main labor law, it covers and provides the basic terms and conditions of an employee under a contract of service. However, there are certain exceptions for managers and executives when it comes to rest days, annual leaves, and other conditions of service detailed in Part IV of the Act. Who is covered by the Employment Act? Depending on the terms with the employer, an individual under contract can be paid hourly, daily, monthly, or piece rated. The Employment Act strictly regulates the working hours of laborers. Employees are not supposed to work for over eight hours a day, 12 for shift workers. This caps the total working hours to not be more than 44 hours per week. For individuals who work less than 35 hours a week, they are considered part-time employees and fall under the coverage of the Employment of Part-Time Employees Regulations. However, this coverage does not apply for seafarers, domestic workers, civil servants or statutory board employees, and managers or executives (with a monthly basic salary higher than $4,500). 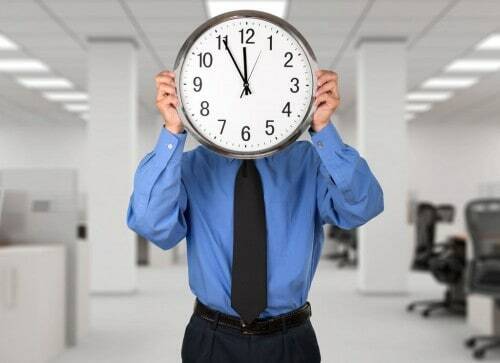 In terms of overtime, exceptions can be made for some employees though overall, terms are still strictly regulated. Individuals are not permitted to work for more than 72 hours of overtime per month, a limit which should be followed unless the Ministry of Manpower specifically granted an exemption to the hiring company. All employers agreeing to overtime labor are also mandated to pay their employees allowance of at least 1.5 times of the hourly basic rate. Overtime pay is considered a given for all working individuals with monthly salaries lower than $2,000 and workmen with salaries less than $4,500. To know about the qualifications of who is a workman, continue reading below. Singapore’s employees are defined by different terms. The following are some of the positions and their specific work descriptions. 1.Constructional Contractor – a person, firm, corporation, or company contracted to undertake exclusively, in addition, or in conjunction with any other business, or any type of constructional work. 2. Domestic worker – any individual employed to do domestic services on private premises. (e.g. house, garden, or stable servants, drivers). 4. Manager/Executive – individuals under this category are those practicing supervisory functions. They have the authority of making decisions on core business issues like performance assessment and recruitment, participate in formulating strategies and policies for a business, or directly manage or run it. 5. Foreign Employees – anyone holding a work pass issued by the Ministry of Manpower. Work passes include Work Permits, S Pass, and Employment Pass. All employees are mandated to be provided one unpaid rest day a week. The day of leave (usually Sunday) can be changed by the employer. For those engaged in shift work, the employer has the option to substitute any continuous period of 30 hours as a rest day. Employers are restricted from requiring employees to work on a set rest day, unless the employee is currently engaged in a project which, by its nature, needs continuous management. For leaves, all individuals who have served an employer for not less than 3 months are legally entitled to 7 days of annual leave, with respect to the first 12 months of continuous service with the same employer. The employee’s number of leaves is to be added an additional day for every subsequent 12 months of continuous service (with the same employer) subject to a maximum of 14 days of leave. The latter will be added on top of rest days, holidays, and sick leaves. In the event that an employee has served an employer for not less than 3 months but hasn’t completed one year of continuous service yet, he/she shall still be entitled to an annual leave but in proportion to the number of months he/she has completed under service during that year. The employer, however, has the power to forfeit this annual leave if the employee absents from service without approval from the employer or without a reasonable excuse. Working individuals in Singapore enjoy 11 public holidays and eight major festivals annually. This mandate is part of the city-state’s efforts to support the cultural and religious diversity of their country. The Republic celebrates all Chinese, Indian, and Malay festivals, with some companies closing during Chinese New Year. For a full list of holidays, click here. Under the Income Tax Act, all employers are required to prepare all of their employees’ Form IR8A and Appendix 8A, as well as Appendix 8B or Form IR8S (if applicable). All files should be settled with the IRAS by March 1 every year. All Singaporean or Singaporean Permanent Residents are entitled to have CPF contributions from their employers. This includes everyone working in Singapore under a contract of service and those who are employed in casual, part-time, or permanent basis. Employers are mandated to shoulder their share and their employees’ share of CPF contributions every month. On the other hand, they are also allowed to recover the share from the wages of their employees. The following are the required statutory filings every employer must file for their employees. CPF contributions – depending on the type of wage payments the employee receives, CPF can be considered payable or non-payable. This contribution helps employees in meeting their retirement, healthcare, and housing needs. Skills Development Levy (SDL) – a compulsory levy that employers need to pay for all of their employees under permanent, part-time, temporary, and casual basis. It also applies to foreign employees with work permits and employment passes. Channeled through the Skills Development Fund (SDF), this levy is used to support the workforce through upgrading programmes and training grants provided by the National Continuing Education training system. What’s Inside A Singapore Employment Contract? A Singapore Employment Contract is the legal document that defines the professional relationship of the employer and employee. 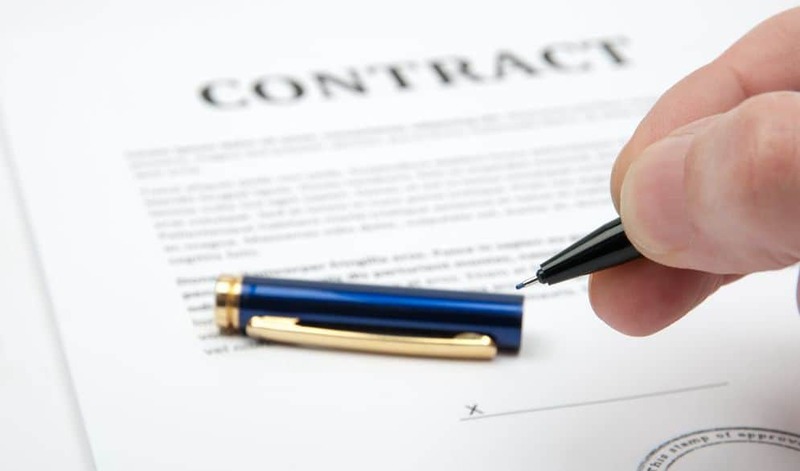 A signed contract means that the employer agrees to employ an individual and vice versa, and therefore entitles both parties to their respective responsibilities. Starting April 2016, employers are required to issue Key Employment Terms (KETs) in writing to all individuals covered by the jurisdiction of the Employment Act. This should be accomplished within 14 days from the start of employment and can be in hard, soft, or handwritten copy. A sample form for KETs can be downloaded here. Note that there are two types of employment contracts in Singapore. 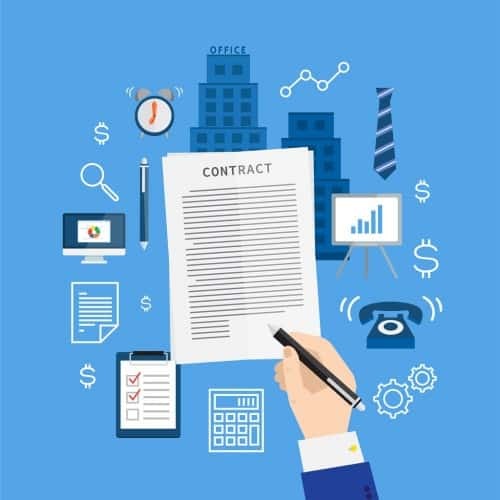 The Contract of Service which is an agreement between the employer and the employee and the Contract for Service wherein an independent contractor (e.g. vendor or self-employed individual) is engaged for a fee to complete a project/assignment. From April 2016, in addition to KETs, employers are also required to issue itemized pay slips for all employees under the Employment Act. A new proposed framework will also be followed to treat less severe breaches of the Act. The amendments are placed in order to help employees better understand the calculation of their salaries as well as their terms and benefits. For the employers, it also helps prevent disputes and misunderstandings in the workplace. Itemised pay slips are required to be given to the employee together with their payment or within three working days since payment was made. Employers are also required to keep and update a detailed employment record of their employees. The Employment of Foreign Manpower Act (EFMA) is the governing body that regulates the employment of foreign workers. According to a survey cited by the Business Standard, 9 out or 10 foreign workers in Singapore are satisfied with their living and working conditions, with good pay, a sense of security, and environment as the main reasons behind their satisfaction. The Foreign Worker Levy (FWL), also termed ‘levy’, is a pricing mechanism that applies to foreign workers in Singapore. Each company should follow a Foreign Worker Quota which mandates the limit on the number of foreign workers that can be hired by the company. This is collected by the CPF Board on behalf of the MOM. All foreigners who want to work in Singapore must hold a valid pass (aka a work visa) before they can be formally employed. The following are the different types of passes for foreigners. Employment Pass – given to professionals, managers, and executives. Candidates must have acceptable qualifications and earn at least $3,300 per month. EntrePass – applies to foreign entrepreneurs who want to operate and start businesses in Singapore. Personalised Employment Pass – candidates are high-earning existing Employment Pass holders or overseas foreign professionals. This type of pass offers more flexibility than the Employment Pass. a) S Pass – for mid-level skilled staff who must have a monthly salary of at least $2,200. b) Work Permit for foreign worker – for foreign domestic workers operating in the manufacturing, marine process, construction, or services sector. c) Work Permit for foreign domestic worker – for foreign domestic workers. d) Work Permit for confinement nanny – for confinement nannies who can work in Singapore for up to 16 weeks, starting from the day of birth of the employer’s child. e) Work Permit for performing artiste for foreign performers working in the entertainment industry (e.g. bars, hotels, nightclubs). For a full list of other passes, head here. Singapore companies looking to hire can post their job vacancies through Jobs Bank or be a place-and-train employer. The latter is a job placement programme wherein employees are first provided jobs before enlisting them into a training programme. This arrangement is both beneficial to the jobseeker and the employer because the former can already earn a salary while learning the skills needed for their job while employers get access to a bigger pool of workers that are not specifically from their industry. Objective and fair selection must be applied through the whole process of the recruitment process. Staff members involved in the recruitment should also be properly trained to avoid discriminatory practices. Job Advertisements should state clearly the required qualifications, knowledge, experience, and skills required of the candidate. Employers are not allowed to require a specific attribute unless it is really required for the job and the reason is stated in the job advertisement. Otherwise, they may be considered discriminatory. Phrases and words that may indicate exclusion of Singaporeans or preference to non-Singaporeans are prohibited. Employers are also not allowed to strictly prefer age as a requirement for the job. Examples of words that express a particular preference for a certain age group like “youthful working environment” or “young” are strictly prohibited. This is mandated in support of national efforts to increase employment opportunities for older citizens of the city-state. Marital Status, family responsibilities, and religion are not acceptable criteria to be used for employment. For religion, this is only exempted in the event that the candidate has to perform religious functions as part of the job requirement. In such case, the requirement should still be objectively presented. Both employers and employees are properly protected and supported in Singapore as part of the country’s national efforts to continuously uplift its workforce productivity. Though the terms can be a bit complicated, both foreign and local employees acknowledge the good system that the Republic has set up. **Download a PDF file of this article here. Interested in running a business in Singapore? Take advantage of Singapore’s productive workforce and the highly enterprise-friendly environment. Richmond provides reliable and cost-effective Singapore company registration services. Schedule a free consultation today.